When winter winds blow outside, not much sounds better than curling up in a big fluffy lounge chair, to doze under a soft fleece throw or enjoy a hot cup of cocoa and a good book. Whatever your relaxing intention may be, these 10 favorite chairs will let you lounge the cold days away. 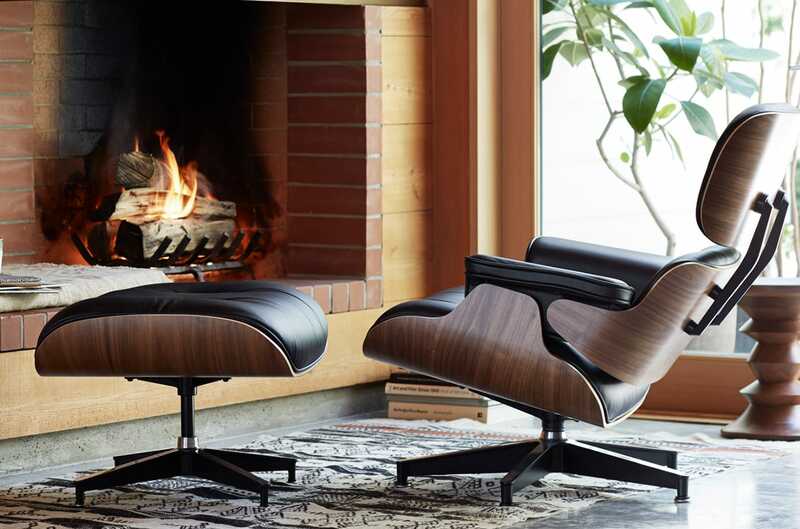 No comfy, cozy lounge chair conversation would be complete without the Eames Lounge Chair (which itself isn’t complete without the coordinating ottoman). This mid-century modern classic by Charles & Ray Eames is equal parts plush seating and luxurious status symbol. A vast number of leather and, now, mohair upholstery options and wood veneer finishes allow you to customize your comfort exactly as you see fit. Imagine snuggling up in this cozy contraption. 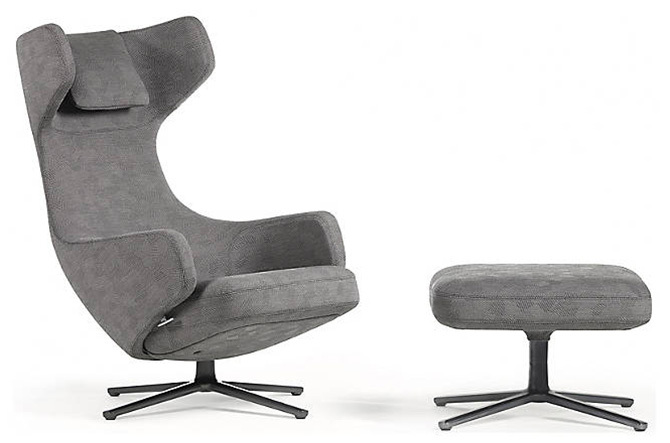 Not only is it replete with soft cushions, but the Mariposa Lounge Chair from Vitra has wing-like arms that adjust up or down for different levels of lounging. 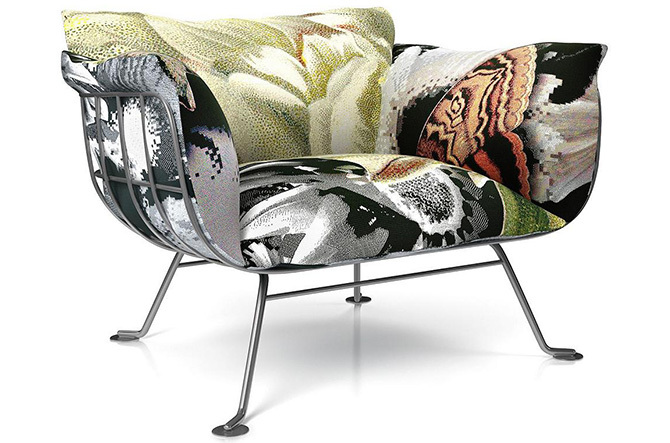 And speaking of wings, take a look at the butterfly-themed Flower Bits fabric of the Nest Chair by Moooi. It is just one of several available chosen by designer Marcel Wanders to both create a can’t-miss decorative element in a space and emphasize the curves of the fluffy, comfy cushions…and invite you over to enjoy them which, with the open steel wire frame, you can do from all angles. 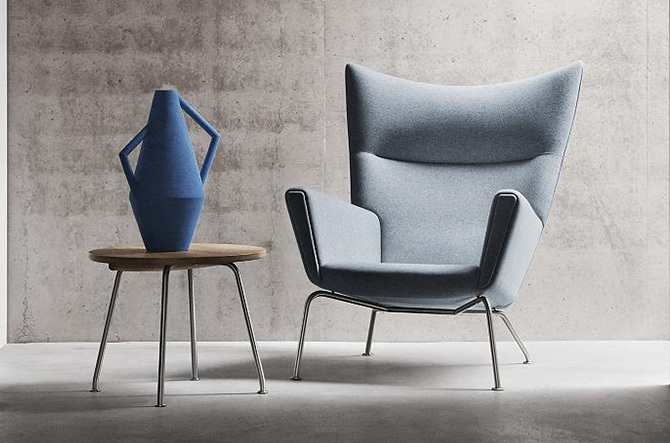 The CH445 Wing Lounge Chair from Carl Hansen is wicked comfortable. Pointed curves give the chair a slightly dangerous look, with a frame that tilts the seat back just so to encourage a sitter to lean back and relax. 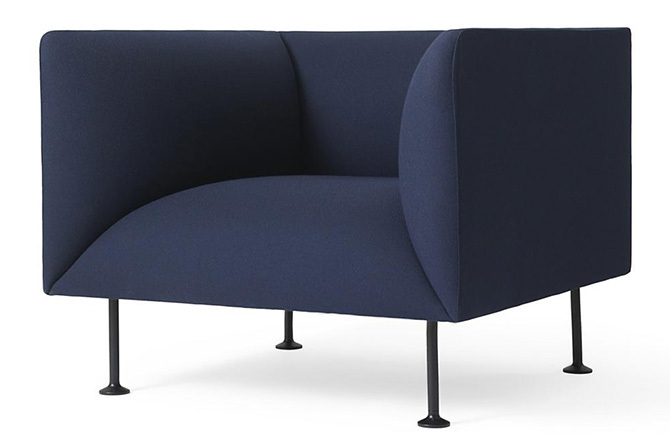 The Bank Lounge Chair by Blu Dot has a structured look, but is super comfortable in its full surround of cushions. A recent addition to the upholstery offerings—Mink Velvet—makes it even cushier and more luxurious. Jonathan Adler’s Pompidou Chair is one charming little chair. It is short and stout, with thick curves that beckon you to curl up in them. And even with its friendly, “let me give you a hug” character, it still manages to look quite sophisticated. 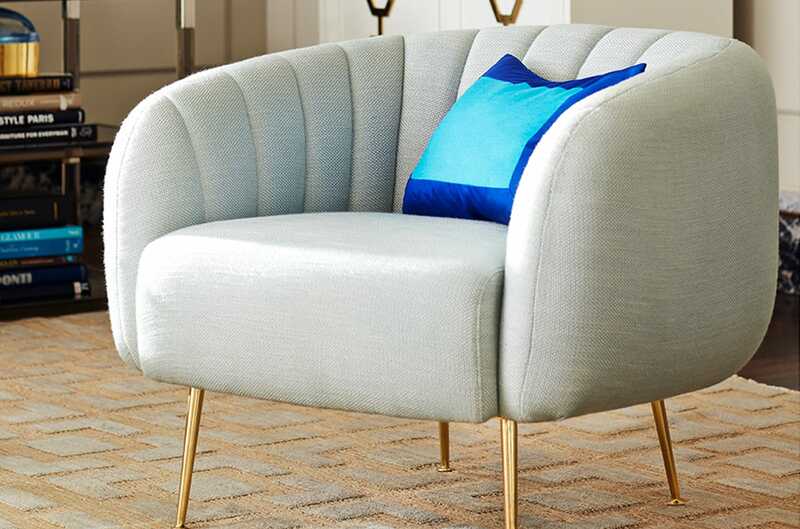 Channel tufting gives the otherwise barrel shape a tailored look, while slim polished brass legs provide Adler’s requisite touch of bling. With its squared-off frame and slim metal legs, from the back you’d never suspect how curvy and comfortable Menu's Godot Lounge is. But then you move around to the front and are met by the uber-generous (but still neatly tailored) curves of the seat. You can almost feel the chair hug you before you even sit down. The Godot Lounge manages to look perfectly contemporary and feel perfectly comfortable at the same time. 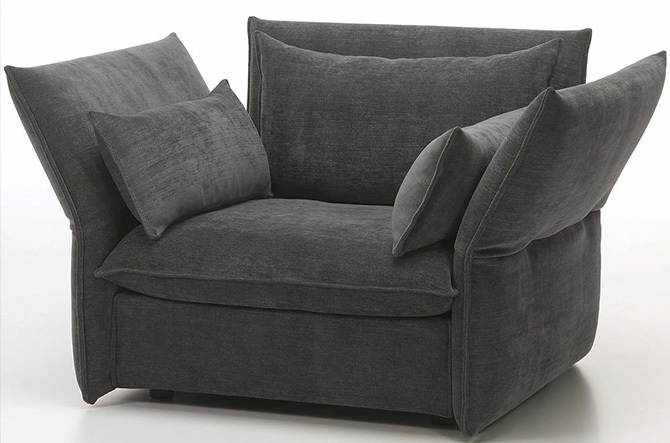 The generous curves of the cushions are balanced by slim legs and a perfectly square frame. 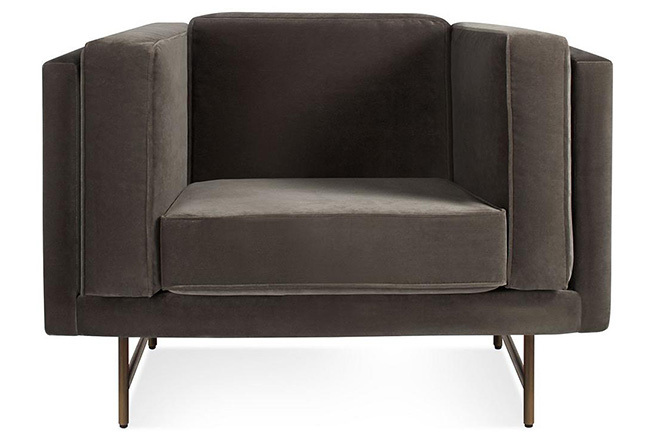 The Danforth Chair by Gus Modern pairs a fun, graphic profile with cushy comfort. Arms and wings are kept visually separate by a cutaway detail, but still remain wholly supportive when you’re curled up with a good book. 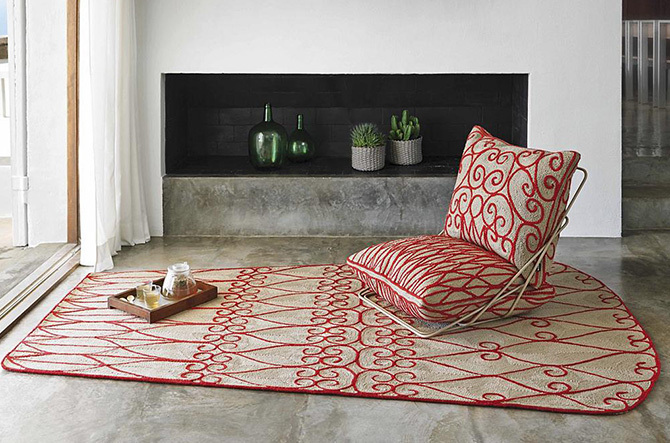 The Valentina Chair by Gan Rugs is essentially two large overstuffed cushions fitted into a chair position in a minimal metal rod frame, making it one of the only portable “lounge chairs” out there. It’s a great addition down low in front of the fireplace. For a relaxing lounge chair, the Grand Repos works pretty hard. For this design, Antonio Citterio developed a special internal synchronized mechanism, which automatically adjusts to keep the chair perfectly balanced and provides support whether someone is sitting upright or reclining. 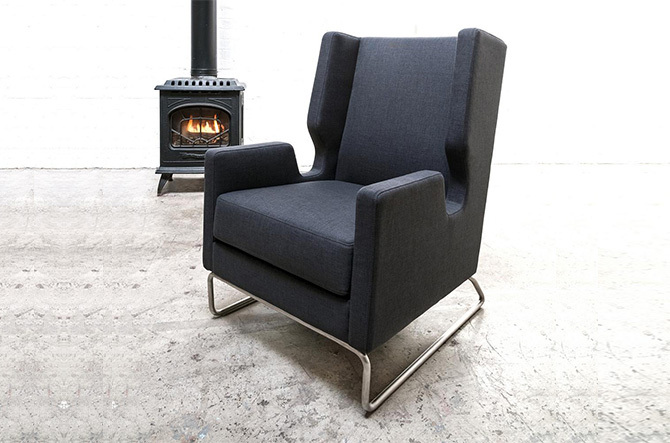 The cozy and secure feel of the chair is completed by the deeply curved headrest and arms.